Do you want to succeed in ecommerce? Of course you do. But there is a big difference between thriving as an online brand and merely turning a profit. One of the biggest factors that separates the two is a dedication to establishing customer loyalty. Think about it: Would you rather spend marketing dollars on acquiring 10 new customers who will buy once and disappear, or 10 customers who are likely to shop with you again and again? The answer is obvious. Below are a few tips to boost ecommerce customer loyalty and grow your small business. The first step to keeping customers is to build a beautiful, easy-to-use website. Sure, a web user might be able to overlook an ugly webpage and clunky navigation for a one-time purchase. But do you really think they will return the next time they want to buy goods online? Thankfully, there are ecommerce solutions for small businesses that make attractive website design simple. Yahoo Small Business, for instance, offers customizable templates which empower brands to quickly launch an e-store that is both professional and functional. Use plenty of white space. Give your content and images room to breathe on the page. Anticipate customer navigation. Shoppers want search bars, contact forms and checkout pages to be easy to find. Post HD images of your products. Grainy, low-quality photos won’t convince customers to convert. Of course, a handsome ecommerce website is only one part of the equation. A consumer makes a purchase from your store and voluntarily signs up for your email subscription list. You could wait for the next holiday or sale to try to re-engage them, but it’s better to strike while the iron is hot. Send them an email within the next 48 hours with a time-sensitive coupon code, reading: “As thanks for your first-time purchase, we are offering 20 percent off select goods!” This should put the shopper right back into the sales funnel. Email marketing is extremely effective. For every $1 you sink into email marketing, you earn almost $45 back. Now that’s an impressive return on investment! As a small business ecommerce vendor, you realize that shoppers can’t buy from you every day. But you can still engage with potential shoppers every day! Social media marketing is an affordable solution for small businesses looking to establish two-way conversations between their brand and their buyers. The goal is to create an online community that social media followers will want to continuously revisit. Posting images of themselves using or wearing your products. Tagging friends and family members in exchange for entry into online contests. Commenting on their favorite items or memes. These are just a few ideas. The more you get to know your audience, the more you will understand about what makes them tick. 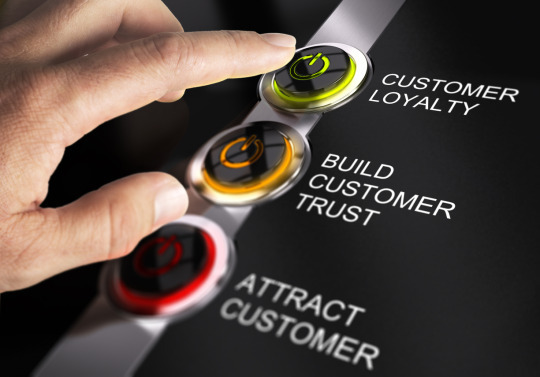 Are you ready to tap into a more loyal customer base? Yahoo Small Business offers simple ecommerce solutions for your small business. Visit us to find out more!